Someone once labeled our little Lucy as a “bad dog” because of her reactions to other dogs and she has spent the last few years in Rescue trying to live up to her name because no one really understood her. Then one of our NASPR volunteers stepped up to prove that label WRONG!!! True that Lucy can only go to an only-dog home but she has so much love to give and so much now to prove after her recent training where she was proven to be a “good girl” and not a “bad dog” through a training process known as redirection. Lucy is @ 4 years old. She is completely vetted and healthy and is a beautiful fawn colored horsecoat that is as soft as butter. She quickly has become a favorite at the training facility she is attending and won over every person there with her love for humans and her desire to please. 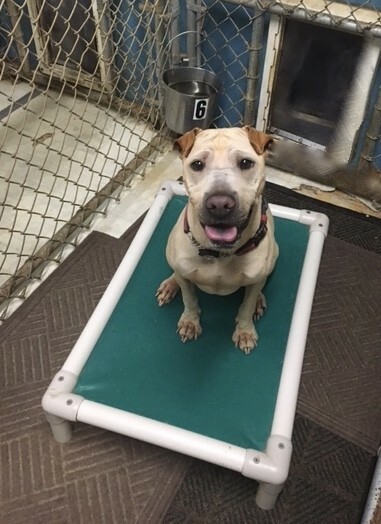 If you are fortunate to be her new owner, Lucy comes with several free sessions with her trainer who is anxious to pass along his knowledge of what makes Lucy tick so that she will be successful in her new home. We do know that Lucy does very well with children and adults. However, again, she must not be in a home with other dogs even though she is absolutely ok to encounter other dogs on walks and in public settings as long as she is on a leash. You will be richly blessed when you realize that Lucy has only attention for you and will do her best to make you happy. 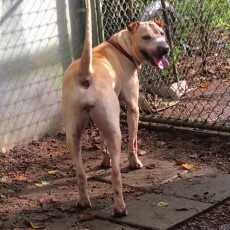 Lucy was severely emaciated from her life on the street and it is generally understood that her hatred of other dogs probably came from her being attacked while she was a stray. She was not spayed when she came into Rescue so you can only imagine the horror she faced daily. It is now Lucy’s time to SHINE. 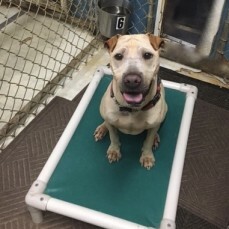 What a great dog, labeled so unfairly in the beginning, but one who has now shown the world just how fine a dog she has become and how great a companion she would be for a family wanting only a single pet.